Royal Arch Masonry will be the place where brothers from different masonic backgrounds can come together to enjoy comradeship, learn leadership and planning skills, experience meaningful and well-presented rituals, and have a positive impact on their blue lodges and local communities. The Grand Chapter of the District of Columbia was founded in 1867. At the time the Grand Chapter of the District of Columbia was organized in 1867, the three Royal Arch Chapters (Columbia No.1, Washington No.2 and Mount Vernon No.3) had a total combined membership of 424 companions. In May of the same year, 74 new Companions were exalted bringing the total membership at the close of 1867 to 498 members. By the end of the 1898 Capitular Year, the Grand Chapter of Royal Arch Masons of the District of Columbia had chartered eight (8) additional chapters to 11 constituent chapters, and a total membership of 2,204 companions. Continuing a gradual increase of members and chapters, the Grand Chapter of the District of Columbia reached a peak of 6,611 members laboring in 15 Royal Arch Chapters by the close of the 1924 Capitular Year. Regrettably, the strength of growth could not be maintained as the continuing expansion of Federal, local and international government offices developed much of the remaining land area causing more and more prospective candidates to live outside the boundary limits of the District of Columbia. Today, the strength of membership in the Grand Chapter is relatively stable at 800 companions working in eight chapters – five (5) D.C. York Rite Chapters and two (2) Emulation Chapters (English and Scottish), along with one (1) specialty Chapter. 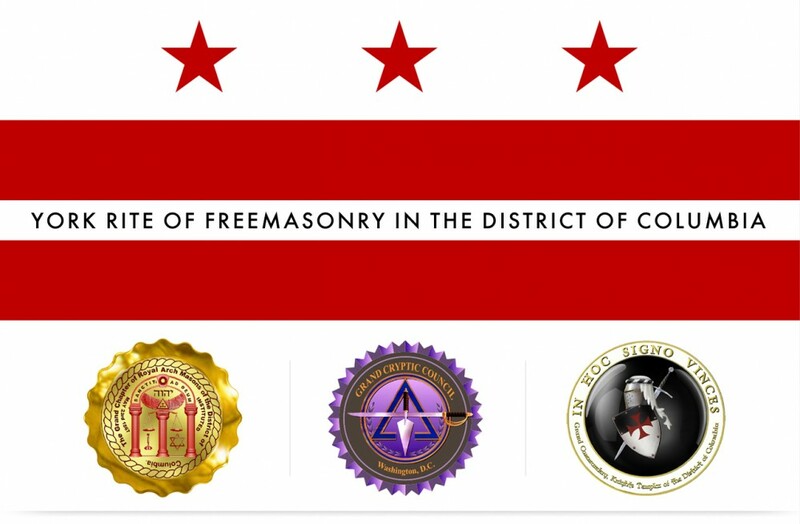 Fortunately, the District of Columbia shares amiable relationships with the Grand Chapters of Virginia and Maryland, allowing many residents of those Jurisdictions to labor as Royal Arch Masons for the District of Columbia.